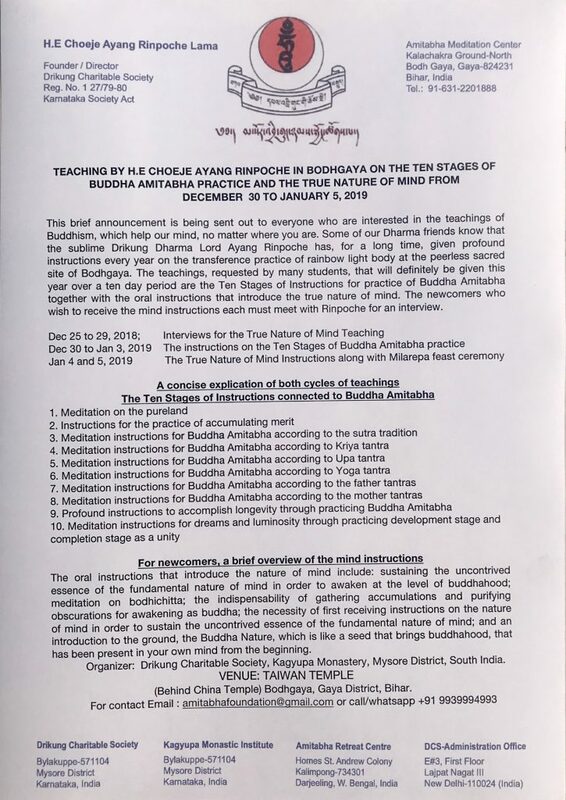 Chöje Ayang Rinpoche will offer teachings on Buddha Amitabha Ten Levels and Introduction to True Nature of Mind this year in Bodhgaya instead of his Phowa Course. 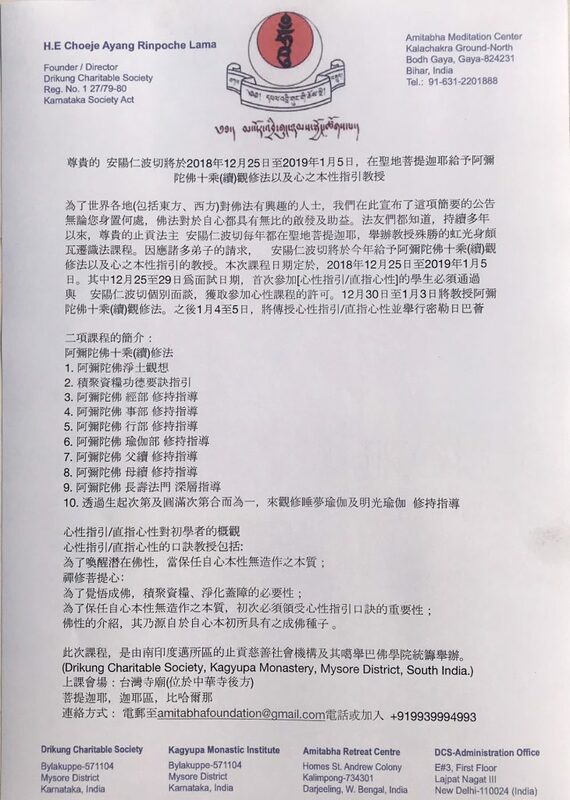 In order to take the Introduction to True Nature of Mind Teachings, you must have a personal interview with Rinpoche between December 25-29 in Bodhgaya and receive his permission to take the teachings, or have received prior permission from Rinpoche. 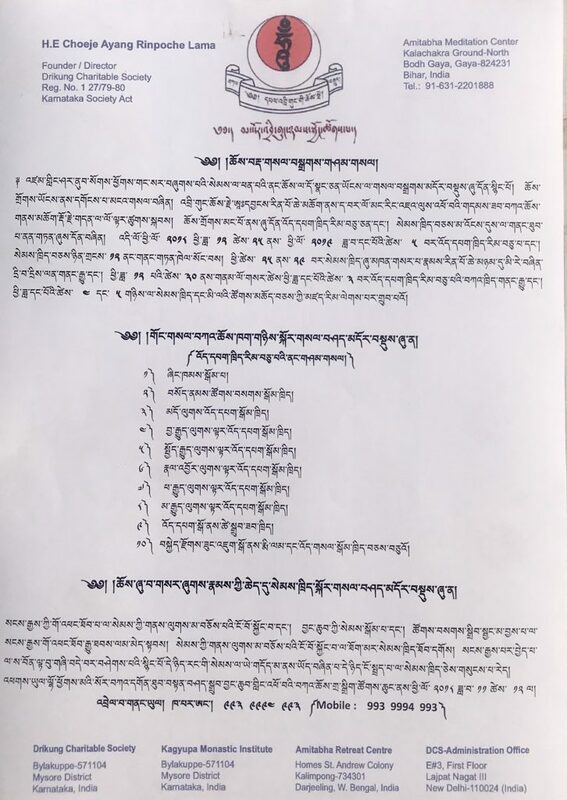 For those of you who are attending and don’t understand Tibetan, please bring an AM/FM radio with ear buds or head phones to listen to simultaneous translation of English and other languages. 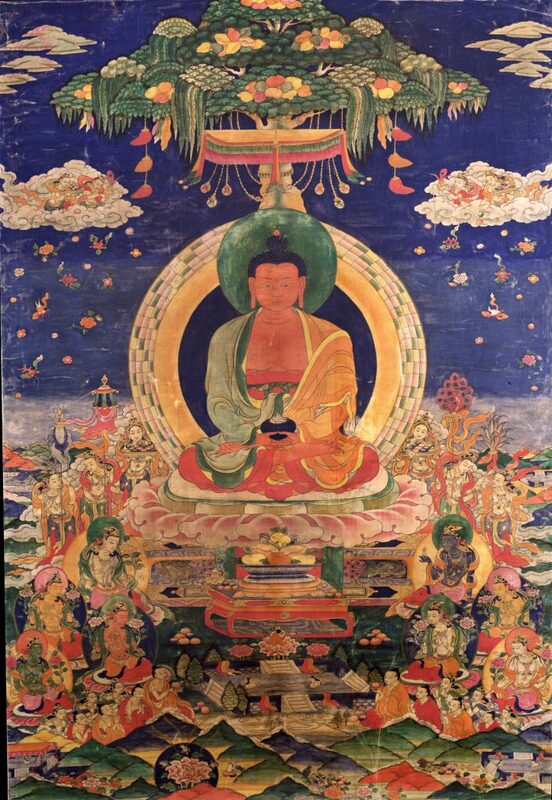 Click here for information about logistics related to Bodhgaya and the location of the teachings. Rinpoche will give these teachings in Bodhgaya again free of charge. You can make a year-end US tax-deductible donation to help ensure that these teachings continue for years to come.